[post_content] => The Society of Homeopaths has published a formal response to the report by MPs highlighting the important role complementary medicine can play in healthcare. The report, Integrated Healthcare: Putting the Pieces Together, by the All Party Parliamentary Group for Integrated Healthcare (PGIH), published in December, is the first comprehensive review of complementary medicine (CM) for a number of years. The Society has endorsed many of its conclusions, including the idea of a formal collaborative to bring together leading organisations in the complementary medicine field. The Society also welcomed the report's focus on inclusivity and respect for patient choice and pinpointed key challenges highlighted in the report which homeopathy might help to tackle. Antimicrobial resistance (AMR) - the Society considers that homeopathy, along with increased public awareness and other non-drug therapies, can positively contribute to AMR reduction through appropriate and less antibiotic use. Sustainability - the report argues that, for healthcare to be sustainable, a "holistic preventative" approach to illness is required. Patients often have multiple conditions and a piecemeal approach to health is frequently ineffective. The Society underlines that homeopathy "recognises the human organism to more than the sum of its parts" and that dysfunction can be expressed as symptoms on physical, emotional and mental levels. Effectiveness gaps - the report suggests that the government runs NHS pilot projects using non-conventional ways of treating patients with long-term and chronic conditions affected by ‘effectiveness gaps’. In its response, the Society has pointed to its funding for community clinics offering low-cost homeopathy for vulnerable and low-income groups as a potential model. Mark Taylor, Chief Executive of the Society, commended the report’s inclusive perspective. "It is good to see the emphasis on a holistic view," he said. "Homeopathy's approach to tackling disease is to look at the patient as a whole person. Following the same principle, we need to bring practitioners from different fields together in collaboration to resolve some of the major health challenges facing society." 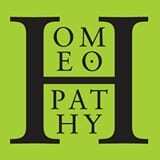 The Society of Homeopaths has published a formal response to the report by MPs highlighting the important role complementary medicine can play in healthcare. 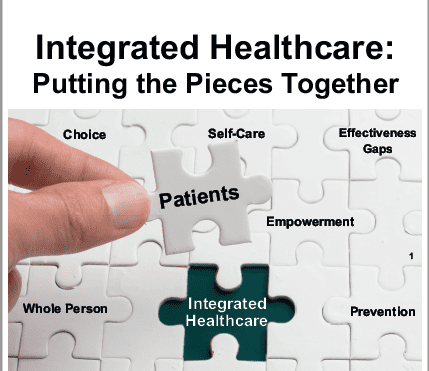 The report, Integrated Healthcare: Putting the Pieces Together, by the All Party Parliamentary Group for Integrated Healthcare (PGIH), published in December, is the first comprehensive review of complementary medicine (CM) for a number of years. The Society also welcomed the report’s focus on inclusivity and respect for patient choice and pinpointed key challenges highlighted in the report which homeopathy might help to tackle. Antimicrobial resistance (AMR) – the Society considers that homeopathy, along with increased public awareness and other non-drug therapies, can positively contribute to AMR reduction through appropriate and less antibiotic use. Sustainability – the report argues that, for healthcare to be sustainable, a “holistic preventative” approach to illness is required. Patients often have multiple conditions and a piecemeal approach to health is frequently ineffective. The Society underlines that homeopathy “recognises the human organism to more than the sum of its parts” and that dysfunction can be expressed as symptoms on physical, emotional and mental levels. Effectiveness gaps – the report suggests that the government runs NHS pilot projects using non-conventional ways of treating patients with long-term and chronic conditions affected by ‘effectiveness gaps’. In its response, the Society has pointed to its funding for community clinics offering low-cost homeopathy for vulnerable and low-income groups as a potential model.